We are excited to officially launch the next phase in the Chabad Building Campaign. As you may recall, the property at 266 Woodport Rd was purchased by Chabad in 2014 with the intent of building and expanding our Synagogue and Chabad space. With the permits and planning now behind us, we are now on to the most exciting part of all - construction! Work has already begun at the site. Please see below for the various dedication opportunities available. Dedications may be made in one payment or in installments over a year. All of the dedications will have a place of permanent acknowledgement in the new synagogue. 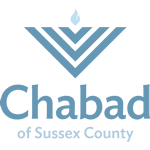 I am/we are pleased to participate in the Chabad Building Campaign. I/We hereby pledge to give the sum of $ to the building campaign. I/We have delineated above the dedication(s) we have selected for our pledge. Payment in Full Payments in installments of each. I would like my name to remain confidential. Please post my name as 'Anonymous'.